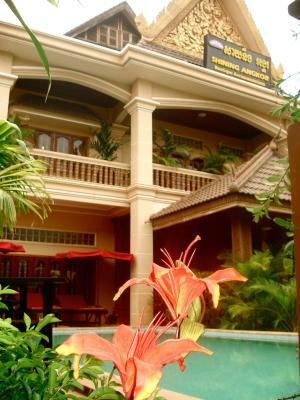 Lock in a great price for Shining Angkor Boutique Hotel – rated 8.5 by recent guests! 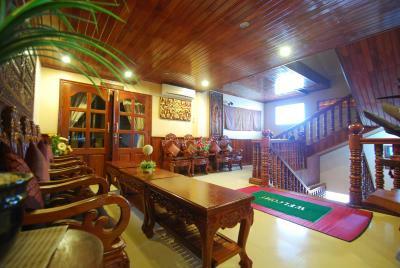 Superb interior, welcoming staff, clean and refreshing pool. The gentleman working during the night shift was very kind and helpful. He even offered me a tuk tuk to take me around for the day for free because I paid for 5 night but only came on the 2nd day out of the 5 . That's was very sweet. I used the tuk tuk for half a day and payed him 10 dollars anyway. He was great. 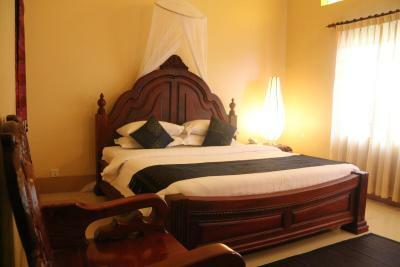 House keeping did an amazing job and the room was always in great condition when I came back. 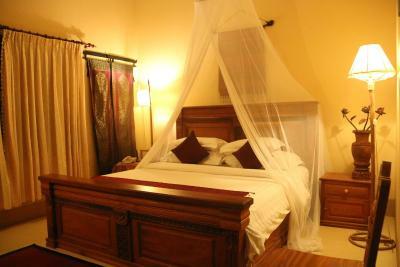 The beds were pretty and comfortable. The hotel is really nice. 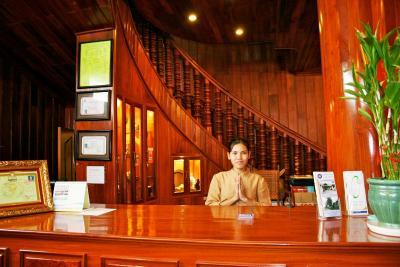 The best part is the staff, very helpful, resourceful and always with a smile on their faces. The tuk tuk driver is the best person in the world!!! We took a 2 day tour to the ruins and he was always waiting for us in the entrance ready to move on, with bottles of water and even some freshly cut papaya that he bought himself for us. He was always aware of us and even took us to his restaurant for lunch with his family. The hotel staff is really the best people in the world. 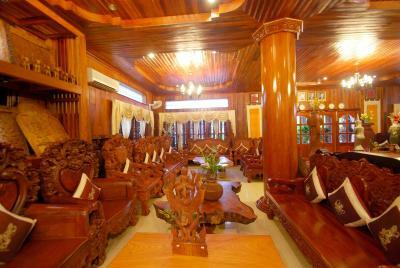 Clean , Good decoration and nice staffs especially Tuk Tuk driver. Near convenion store. Staffs were very friendly amd helpful! We arrived by bus at 5 am & slept for a while in lobby. 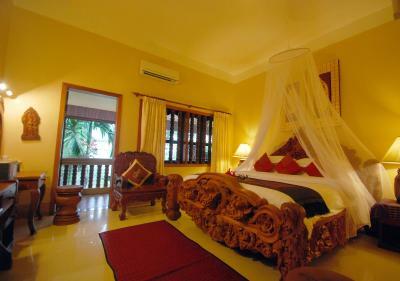 Later on, at around 6 am our room was ready :) Rooms are very pretty! 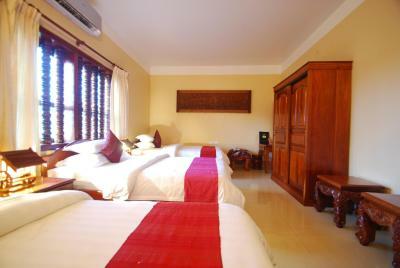 We like the cleanliness and furnitures in the room. 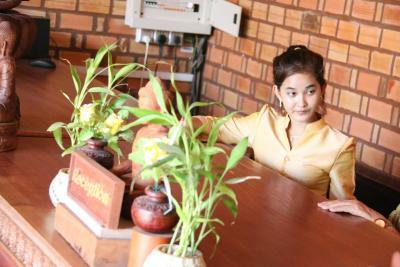 The staff is very friendly. The swimming pool after a very hot journey is great. 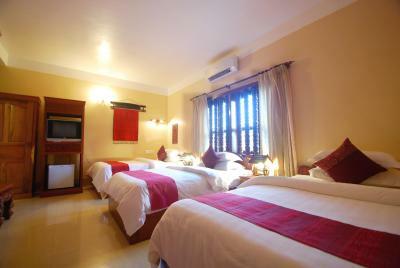 Shining Angkor Boutique Hotel This rating is a reflection of how the property compares to the industry standard when it comes to price, facilities and services available. It's based on a self-evaluation by the property. Use this rating to help choose your stay! 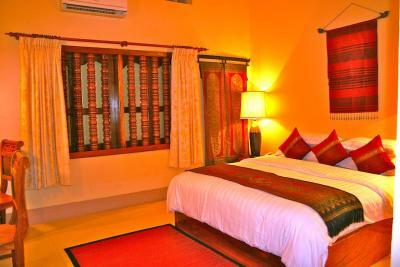 Shining Angkor Boutique Hotel is a 5-minute drive from the famous Angkor Wat and Old Market. 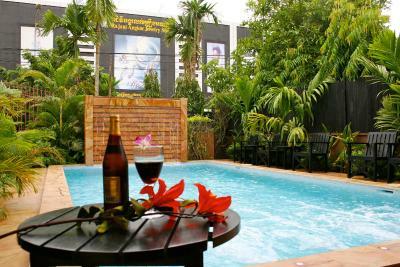 It has an outdoor salt swimming pool surrounded by a tropical garden. 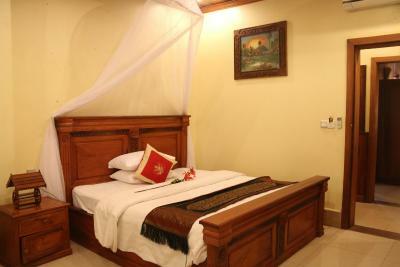 Angkor Shining Hotel is 1 mi from the Angkor National Museum and 1.9 mi from Lucky Mall Super Market. 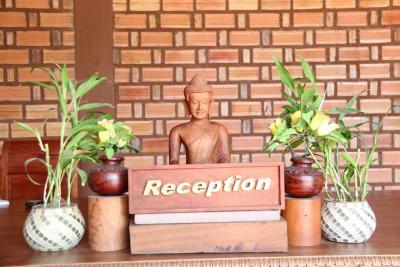 Free pick-up services are provided from Siem Reap International Airport and Bus Station. 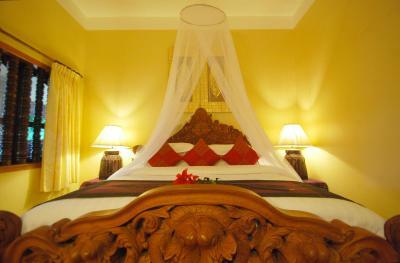 Traditional Cambodian décor and hardwood furnishings feature throughout the nonsmoking guestrooms at Angkor Boutique. 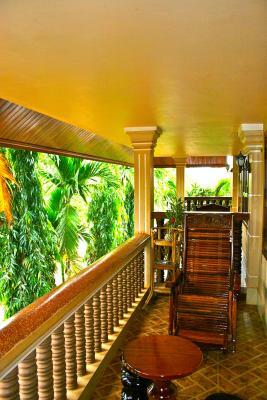 Each offers views of the greenery, and is fitted with a cable TV and mini-bar. 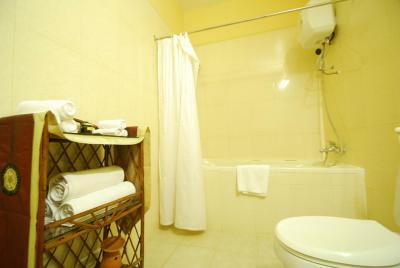 Guests can enjoy a body massage, or rent a bicycle to explore the area. 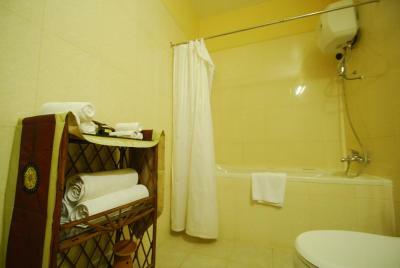 With a 24-hour front desk, the hotel provides car rental services and free parking. 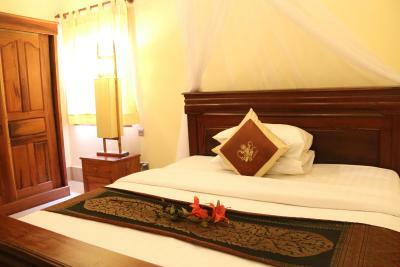 Travel arrangements to the Floating Village and Tonle Sap Lake can be made at the tour desk. 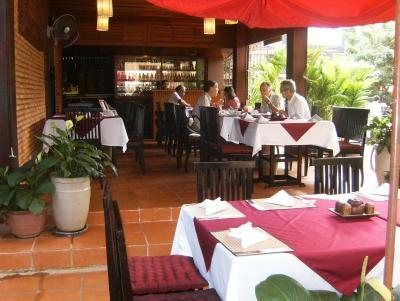 The restaurant serves a fine selection of local and European dishes. Outdoor dining options are also available. 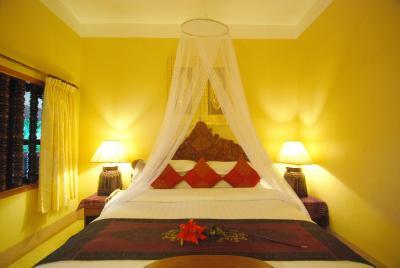 When would you like to stay at Shining Angkor Boutique Hotel? 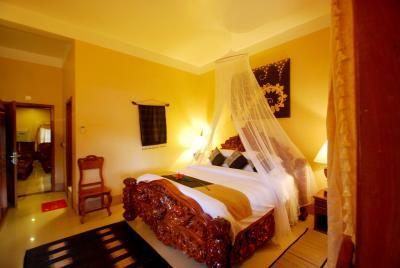 Spacious room features traditional Khmer decor. 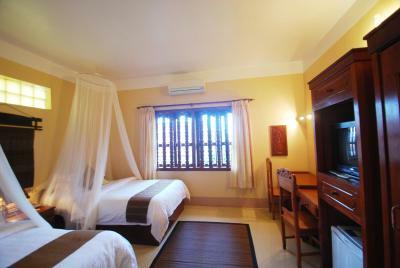 Larger room features a private balcony. 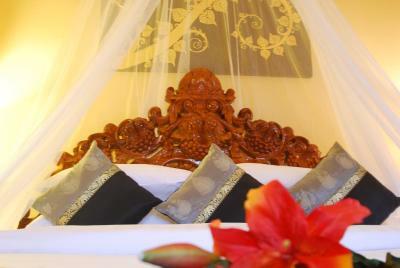 Spacious room with Khmer design elements, feather pillows and cotton comforters. 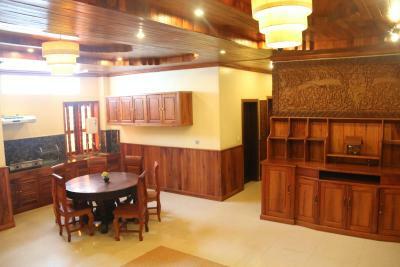 Can accommodate up to 3 guests. Spacious suite features an antique bed and a private balcony with views of the greenery. 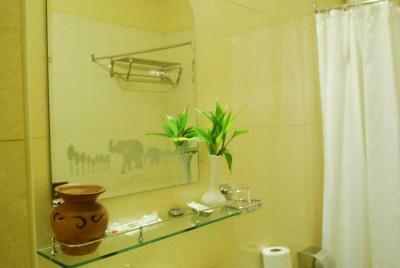 Spacious Khmer-style room that can accommodate a family or small groups. 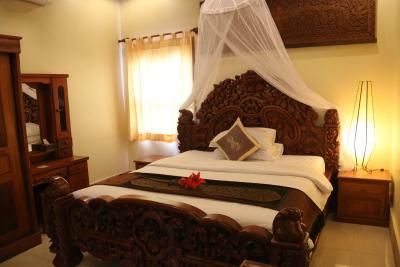 Spacious Khmer-style room has 3 queen size beds which can accommodate a family or a big group of 6. 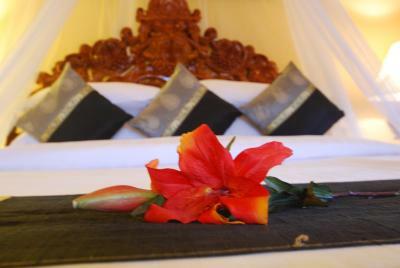 All rooms are clean and spacious and include high quality cotton duvets and feather pillows, complimentary wireless Internet access, bathrobes, slippers, bottled water and bathroom accessories. 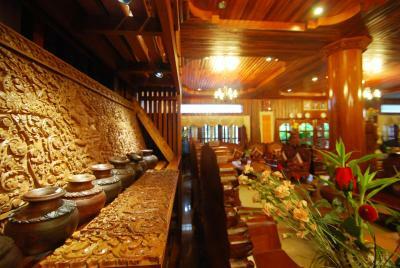 The Decor is traditional Khmer style with contemporary elements and elegant accents. 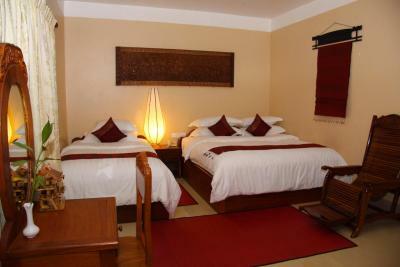 The management and staff at Shining Angkor Boutique Hotel also strive to offer it's guests immaculate service to make every stay at Shining Angkor Boutique Hotel a memorable one. 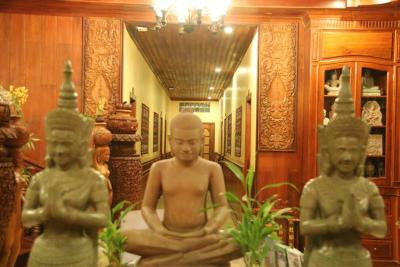 House Rules Shining Angkor Boutique Hotel takes special requests – add in the next step! 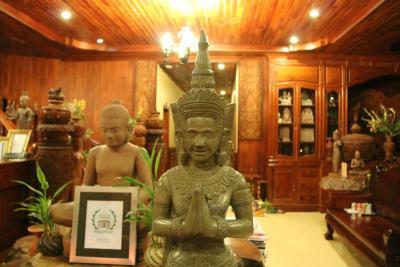 Shining Angkor Boutique Hotel accepts these cards and reserves the right to temporarily hold an amount prior to arrival. Prices in the restaurant, the breakfast, the restaurant staff. Wanted charge of 1 USD for one peace of bread. The hotel was very nice. Much more than we expected. Also the personal was very friendly and helpful. I would more than recommend it. Nice hotel, nice people ! Receptionist is very beautiful, room is neat, nice. I booked for 5 dayswith breakfast for $225 . Due to the aircraft diversion, I was late one day. I paid for the 5 days anyway even though the rooms beside me were empty my whole stay and it was obvious that it wasn't a matter of the hotel being full and needing the rooms . It wasn't a big deal though. asked for my room to be cleaned the next day because I needed more sleep. So house keeping came 3 times out of 5. I also had breakfast twice out of the 5 times. Everything was perfect until right when I was leaving and giving my key to reception, the lady showed me a plastic bag with the coffee cup I had broken due to slipping on the belcony. She asked me for 2 dollars. I was stunned. I wasn't expecting that right befor I leave. I had a 100 dollar bill. I had to wait for 15 minutes until they could break the bill for me. I paid and left with a sour taste in my mouth. If they were going to keep a tab on my coffee cup that costs lest then a dollar, they should have considered the fact that house keeping came 3 time out of 5 to re-stock and I only had breakfast 2 times out of 5. It was so awkward. I left so disappointed. Very friendly people ready to help you with every your wish. Staff and owner is amazing! Great wood interiors. 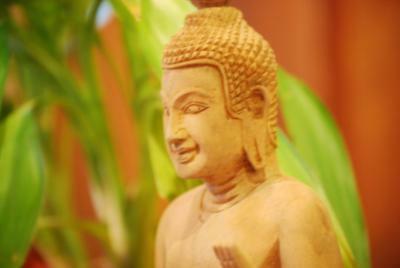 It truly feels like home while in Siem Reap. 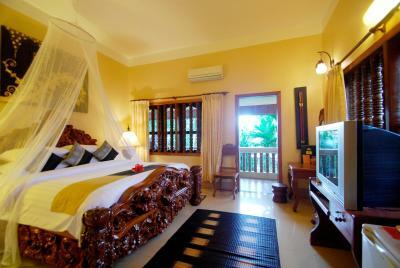 Will definitely stay here again! I've got the Best massage ever by Gum! 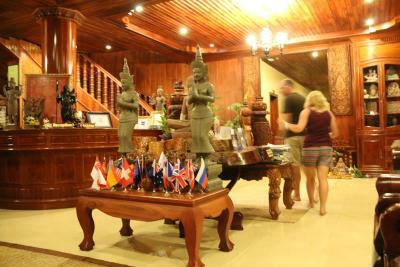 The hotel was great and they had a wonderful and very nice tuk tuk driver who was incredibly helpful! Cannot discuss for late checkout for one more hour. 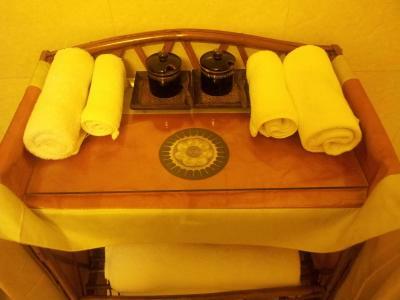 They asked extra money, 8 dollars and this is not hotel now , just accommodations and different from pictures from website. Next time, I need to take care. The aircon in our room is not good.. The staff are ver accommodating and nice. Always ready to provide support esp Mr.Three.